The detection of a slight swirling by scientists at the South Pole using the BICEP2 telescope makes a case for the existence of gravitational waves—and that, in turn, would point to the cosmic inflation of the Universe, support the theory of the Big Bang, and confirm another facet of Albert Einstein’s theory of gravity and general relativity. 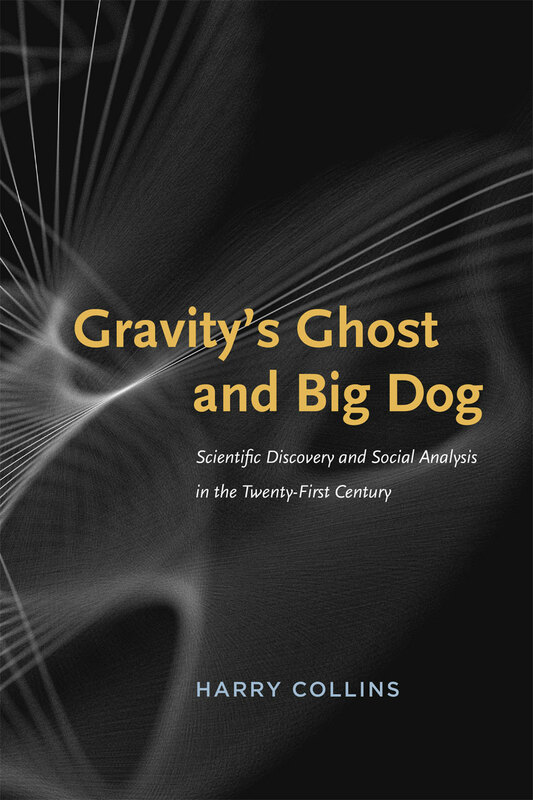 Though these observations are not yet confirmed, scholar and expert Harry Collins, author of Gravity’s Ghost and Big Dog: Scientific Discovery and Social Analysis in the Twenty-First Century, was kind enough to elaborate on the process, as well as what the experimental results might mean—and what then is at stake for different scientific communities. You can read his post after the jump. *** Gravitational waves and discoveries at the South Pole On March 17, 2014, there was a huge fuss about the discovery of primordial gravitational waves that could tell us something about the Big Bang’s first tiny fraction of a second. Since I have spent most of my academic life studying the sociology of the—so far fruitless—direct search for gravitational waves, I received a lot of emails asking me about whether this was the real thing at last. I had to answer . . . Welcome to the boundless third dimension: university presses—figuratively speaking—in space! From the website: “University Presses in Space” showcases a special sampling of the many works that university presses have published about space and space exploration. 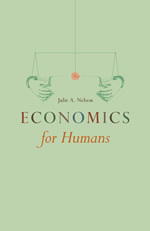 These books have all the hallmarks of university press publishing—groundbreaking content, editorial excellence, high production values, and striking design. The titles included here were selected by each Press as their strongest works across a variety of space-related topics, from the selling of the Apollo lunar program to the history of the Shuttle program to the future of manned space exploration and many subjects in between. As part of the “University Presses in Space” program, we were geeked to select Time Travel and Warp Drives: A Scientific Guide to Shortcuts through Space and Time by Allen Everett and Thomas Roman, which takes readers on a clear, concise tour of our current understanding of the nature of time and space—and whether or not we might be able to bend them to our will. Using no math beyond high school algebra, the authors lay out an approachable explanation of Einstein’s special relativity, then move through the fundamental differences between traveling forward and backward in time and the surprising . . .
For her column at Bookslut, Jenny McPhee considers the fantasy of the “intellectual and sensual super-sophistiquée” in twentieth-century Paris—and reviews the ever-expanding body of literature dedicated to pursuit of this theme. Among it? 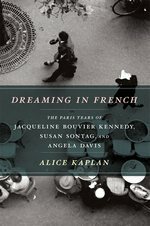 Alice Kaplan’s Dreaming in French: The Paris Years of Jacqueline Bouvier Kennedy, Susan Sontag, and Angela Davis, which focuses on each woman’s time abroad, articulating the influence French culture exerted on their then-burgeoning womanhood and identities (among others) as writer, editor, activist, debutante, and icon. McPhee notes in particular of Davis a thread that the three women hold in common—how their time in Paris left indelible marks on their self-perception: Davis spent her junior year in Paris, the only black student of forty-six in the Hamilton program. 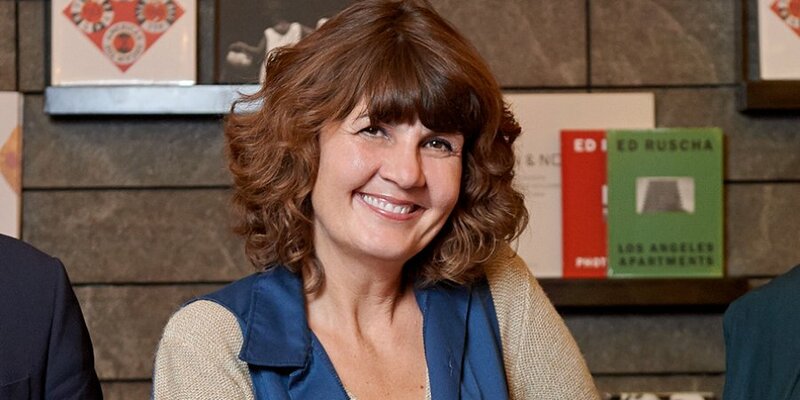 Very familiar with the work of Rimbaud, Baudelaire, Proust, Camus, and Sartre, she was one of six students advanced enough for an intensive course in contemporary literature at the Sorbonne. While she was in France, four Birmingham girls—friends and neighbors of Davis’s—died when a bomb exploded in a Baptist Church, and Kennedy was assassinated. In 1965, after graduating from Brandeis, she studied in Frankfurt with the social critic and philosopher Theodor Adorno, then worked on her PhD with the political theorist Herbert Marcuse at University . . . Recently at Artforum, Chicago-based critic Jason Foumberg assessed the state of the art (world)—at least the academic art world, as manifested in the most recent annual meeting of the College Art Association. Pivoting on the panel discussion “Identity Politics: Then and Now,” Foumberg noted: CAA accommodates an extraordinarily diverse offering of topics, from medieval to new media art, but everyone agrees on one thing: We must learn from the past. The recent past of identity politics provided a brilliant example, with Gregg Bordowitz at the helm of the evolving revolution. “Stop trying to be radical. Stop privileging ‘radicality’ as a term. The radicals do it out of necessity. 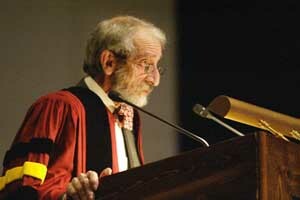 What is your necessity?” Bordowitz rhetorically asked the audience. A surprise addition to the account was the inclusion of several snapshots from UCP’s wine reception (see above), catching authors Huey Copeland and Andrew Uroskie in the act of non-radically taking a breather from the din of all that ruckus, celebrating their respective publications Bound to Appear: Art, Slavery, and the Site of Blackness in Multicultural America and Between the Black Box and the White Cube: Expanded Cinema and Postwar Art. . . .
Over at the Los Angeles Review of Books, Jan Mieszkowski reviews The Death Penalty: Volume I, the latest collection of Jacques Derrida’s seminars to appear in print. Drawn from the first half of a two-year seminar he gave from 1999 to 2001, the book postulates the American position on capital punishment as complicit with a logic in which a sovereign state has the right to take a life. In this takeaway from his review, Mieszkowski positions Derrida within today’s academy: Derrida’s prominence in North American universities has waned, at least superficially, in the decade since his death. A new group of European philosophers has supplanted him as the must-reads of the moment, including Alain Badiou, Jacques Rancière, and the Slavoj Žižek. In the intellectual circles in which Of Grammatology and Specters of Marx were once standard fare, the works of Gilles Deleuze or Giorgio Agamben are now more likely to enjoy pride of place. 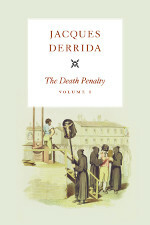 Perhaps most striking for those who remember a time when Derrida’s oeuvre was viewed as a fount of productive positions on virtually every philosophical topic, there is an increasing tendency to refer to his “one or two” major ideas, as if his thought were distinguished not by its range but by its lack thereof. . . .
Every other year, shortly before the Ides of March and just as precarious an omen, cometh the Whitney Biennial. This year’s model splits the show more or less into three floors, each curated by a different individual, and each thus aligned with a particular sensibility, hierarchy, and vision. Reviews started trickling in after the media preview, among them kudos for Floor 4, helmed by Michelle Grabner, coeditor of The Studio Reader and professor of painting at the School of the Art Institute of Chicago. Hyperallergic notes the floor as “the most tightly curated and coherent of the three,” and includes a photo essay sampling the work; critic Jerry Saltz, in an otherwise lukewarm review of the show, acknowledges Grabner’s curation as “includ the show’s visual and material high point: a central gallery crammed with colorful painting, sculpture, and handmade objects as well as ceramics and textiles.” In an interview with Artspace, Grabner comments on her familiarity with the milieu she documents in The Studio Reader and how it informed her selections for the Biennial: I am exceedingly comfortable in studios and among the materials of art and art-making. So needless to say, I felt confident visiting artists in their studios and sure-footed during the . . . 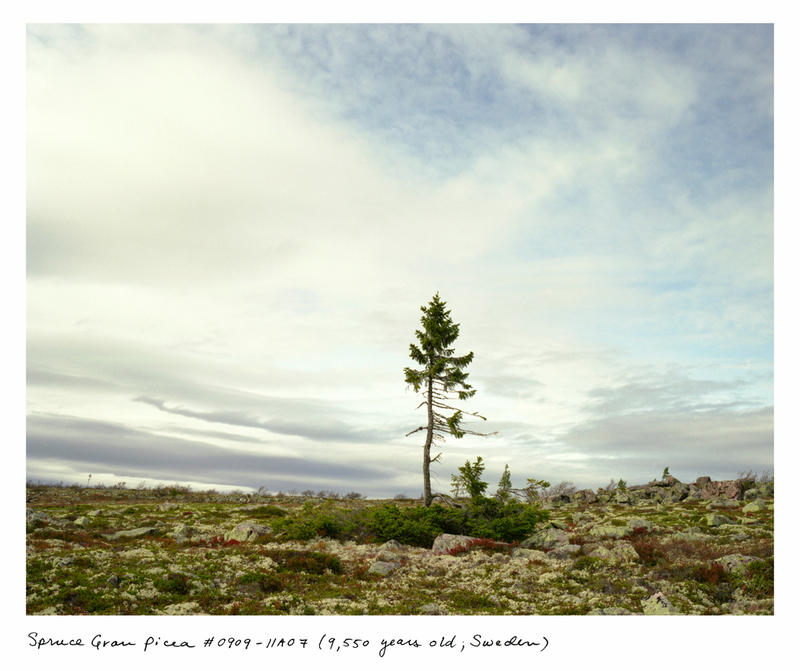 This photograph of a 9,550-year-old Swedish spruce tree is one of several images shot by photographer Rachel Sussman, featured in a slideshow at Time magazine. The photos are drawn from Sussman’s latest project, The Oldest Living Things in the World, which chronicles the decade Sussman spent traveling the globe, taking stunning photographs of continuously living organisms that are 2,000 years old and older. From the Time piece: There’s a sense of wonder imbued in these photographs of organisms that seem to be a physical record of time, but there’s also a call to action. Many of these subjects of Sussman’s portraits are under threat from habitat loss or climate change or simple human idiocy. (Sussman has written movingly about the loss of the 3,500-year-old Senator tree in Orlando, destroyed in a fire that was almost certainly set on purpose.) “The oldest living things in the world are a record and celebration of our past, a call to action in the present and a barometer of the future,” Sussman has said—and the images that follow prove her out. Read more about The Oldest Living Things in the World here. . . .
Chicagoland, a non-scripted documentary series produced by Robert Redford for CNN, premieres tonight. The show, touted as “Where policy meets real people’s lives,” ostensibly focuses its eight parts on the plight of a “heartland” city “generating change and innovation in social policy, education, and public safety.” Rick Kogan, writing for the Chicago Tribune, pins down the first episode’s emerging storylines—violence and public schools—as not necessarily un-akin to the offerings of scripted urban dramas like The Wire (the Trib will be live-blogging this evening’s premiere). Whether and what the show delivers remains to be seen, but Kogan’s review hints at a beautifully shot advertisement for a rebranded CNN and a program which, for better or worse, could define the city for years to come. 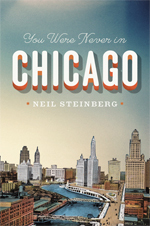 Tune in for a cameo by UCP author Neil Steinberg, whose You Were Never in Chicago similarly captures our city in the raw through a series of essays that chronicle Steinberg’s own fixations and proclivities. You can read more about You Were Never in Chicago here. . . .